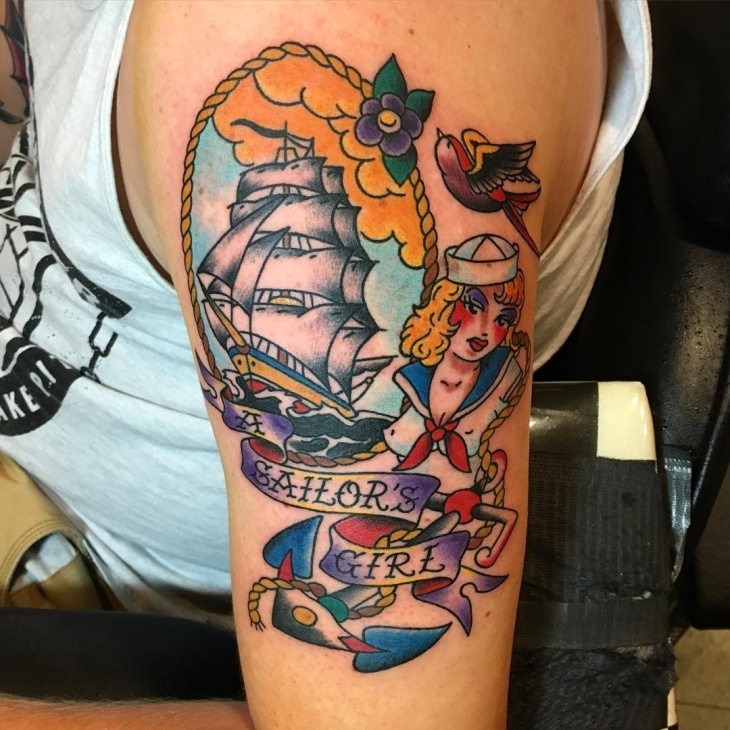 A usual reminder of ladies waiting back home, getting a sailor girl tattooed on your arm with a ship in a frame is considered as a memoir to your loved one. 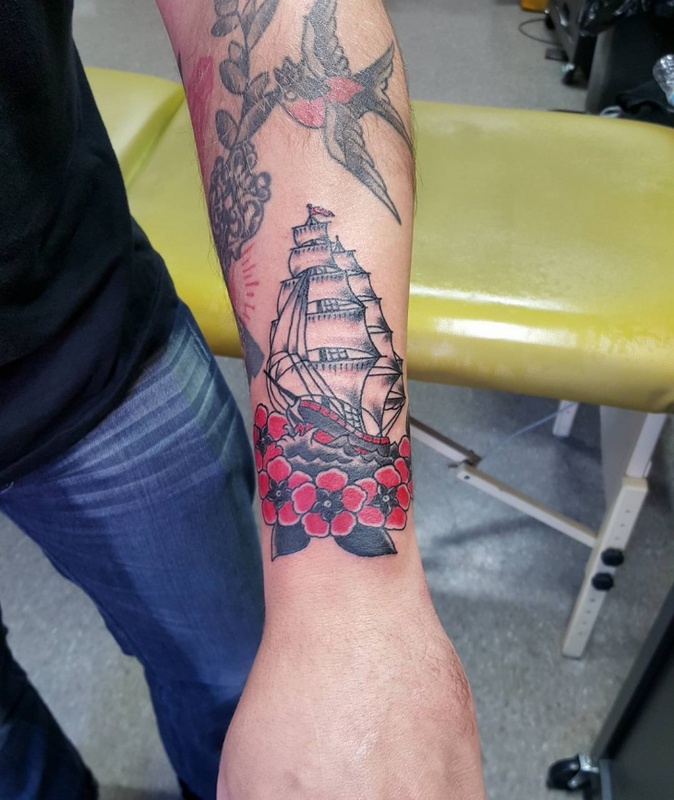 As they become part of the sailor family once they put up with you, it is often a tribute to them to get their wishes personified and inked. Got the old sailor spirit awake in you? 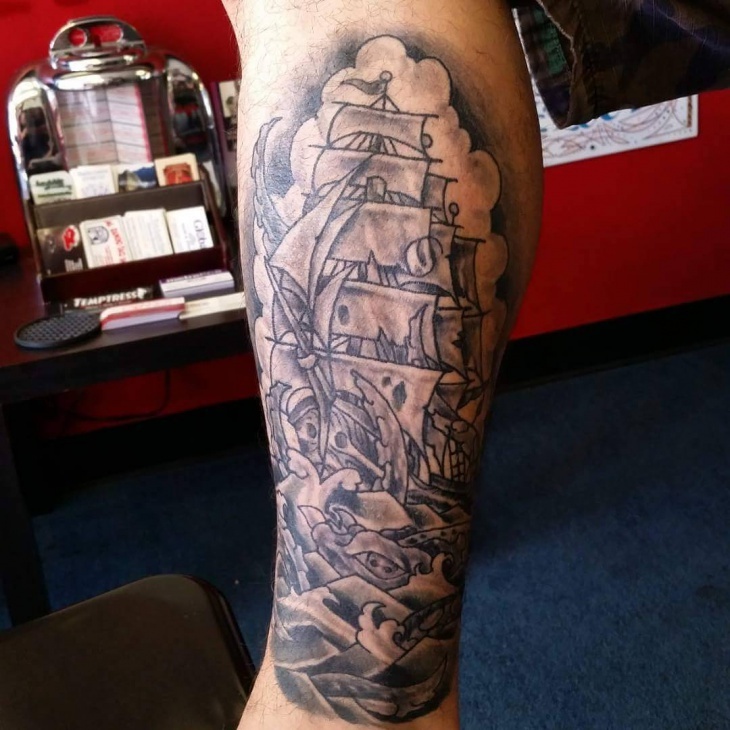 For those who just cannot keep their feet on solid land, this tattoo spells great journeys and adventure on the sea. Graced with lavender flowers for fortune, the idea here is not to keep your emotions for the sea bottled up anymore. 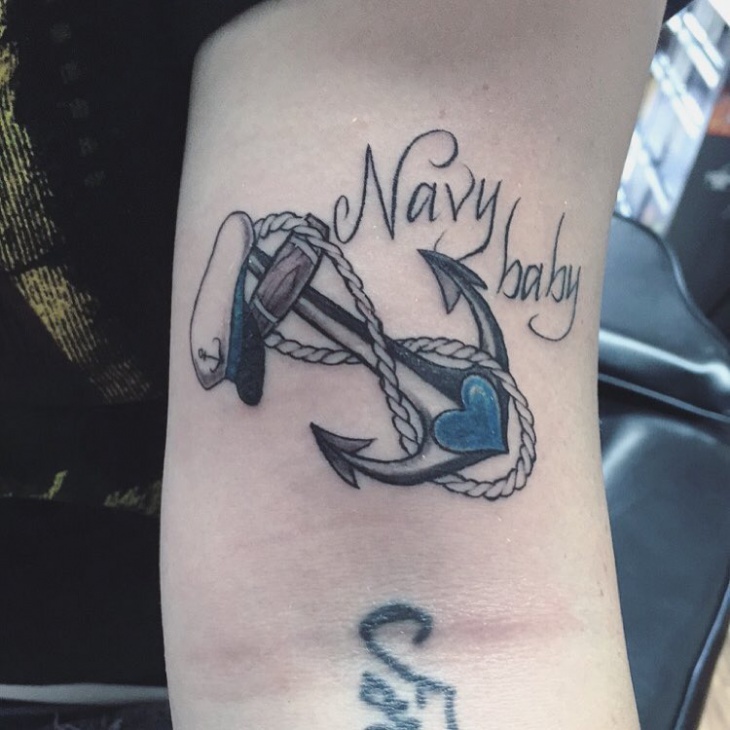 Are you proud of your dad who’s a wonderful navy man out on the sea? 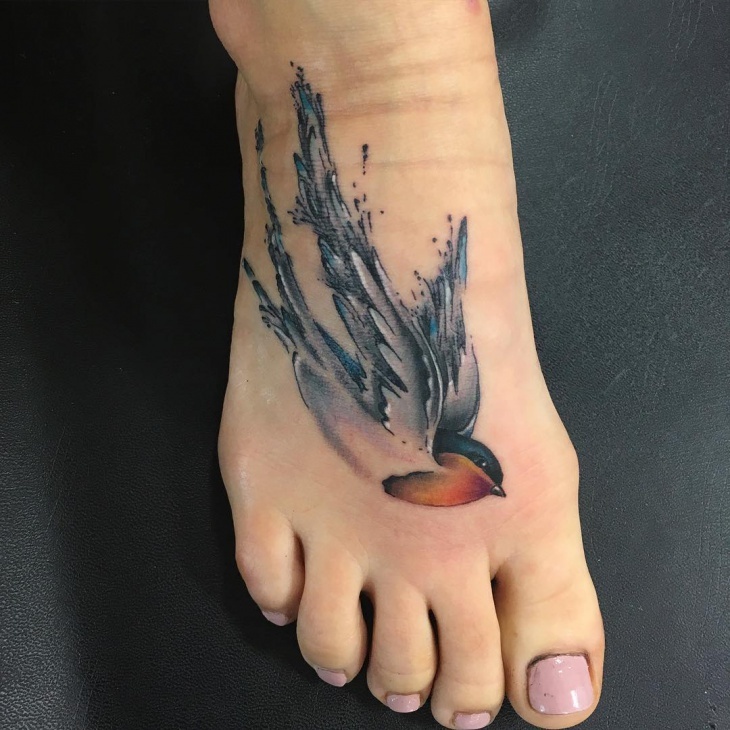 How about getting your feelings inked onto your arm for you to show off your pride to the world? 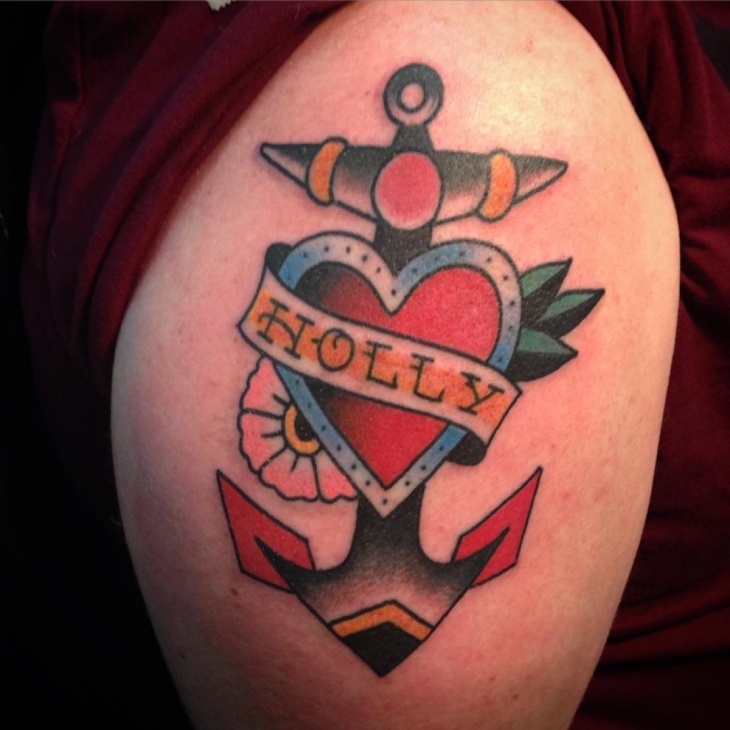 Spice up the tattoo with a little beating heart and a sailor cap for that extra effect! 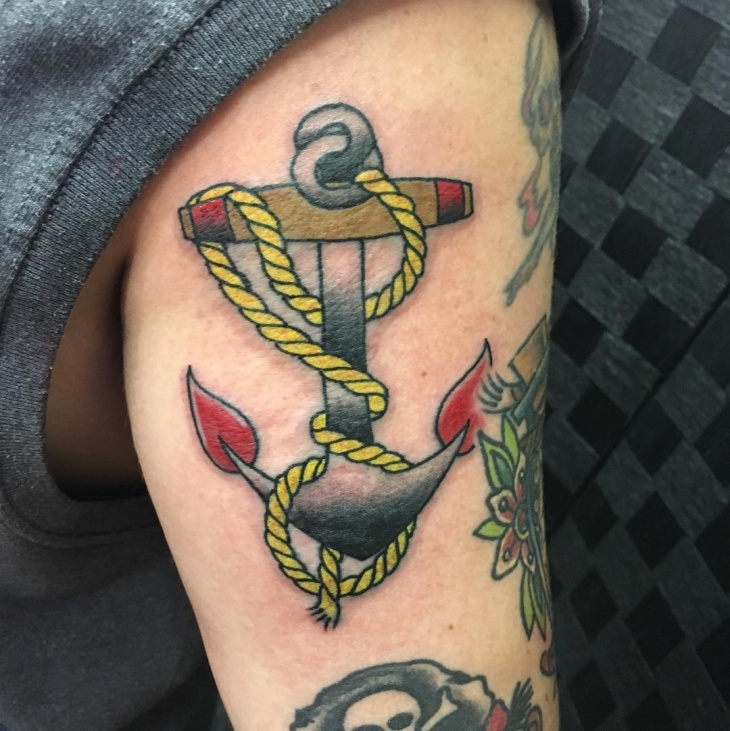 Go the traditional ways with this simple anchor weighing down on your forearm. 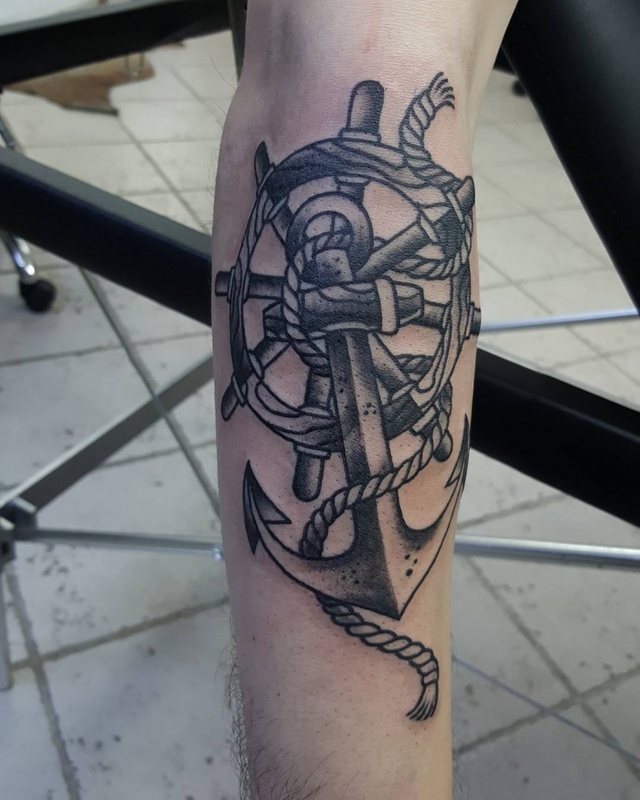 With a pale yellow rope elegantly twisted around to represent a sailor’s journey around the world, let this be a symbol of your unfettered desire to sail! 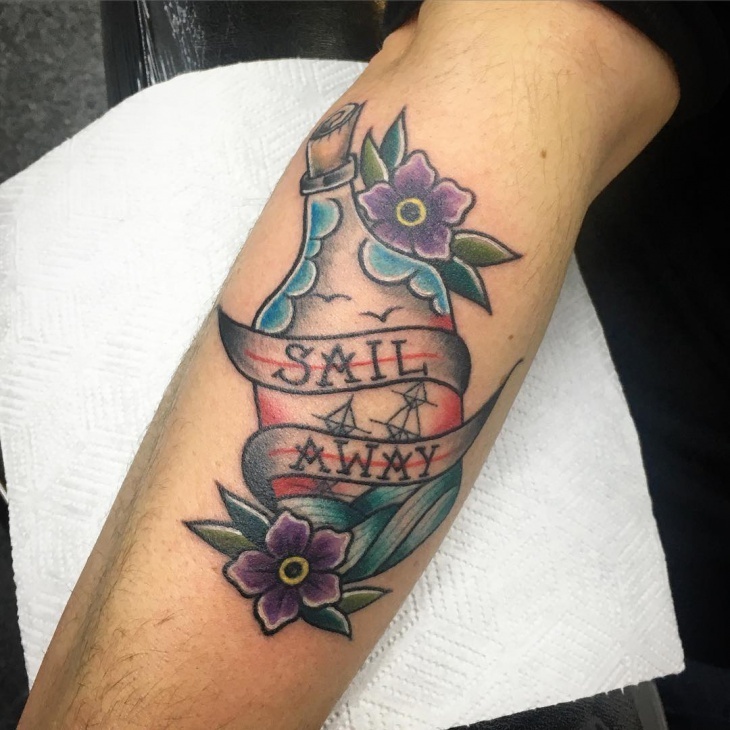 An old school colored tattoo from the 18th century, this one represents the bright side of a sailor’s life. Beautiful dawns on the sea with fluffy clouds dotting the sky, quiet waves and undiscovered islands – ah, the adventures one can have at sea! 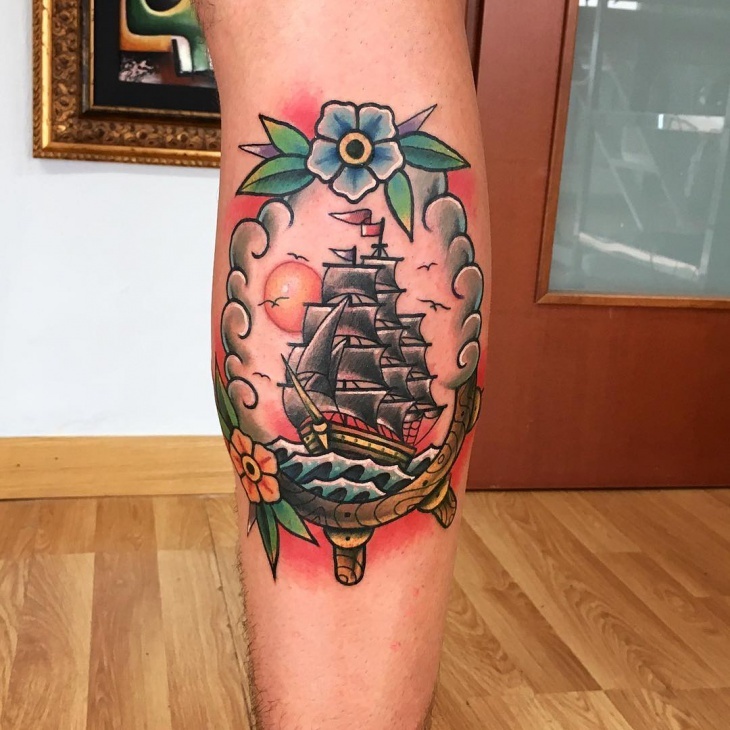 Another gorgeous piece from the wonderfully detailed category, this tattoo symbolizes the waiting a loved one has to indulge in back at home while her sailor husband is out at the sea. 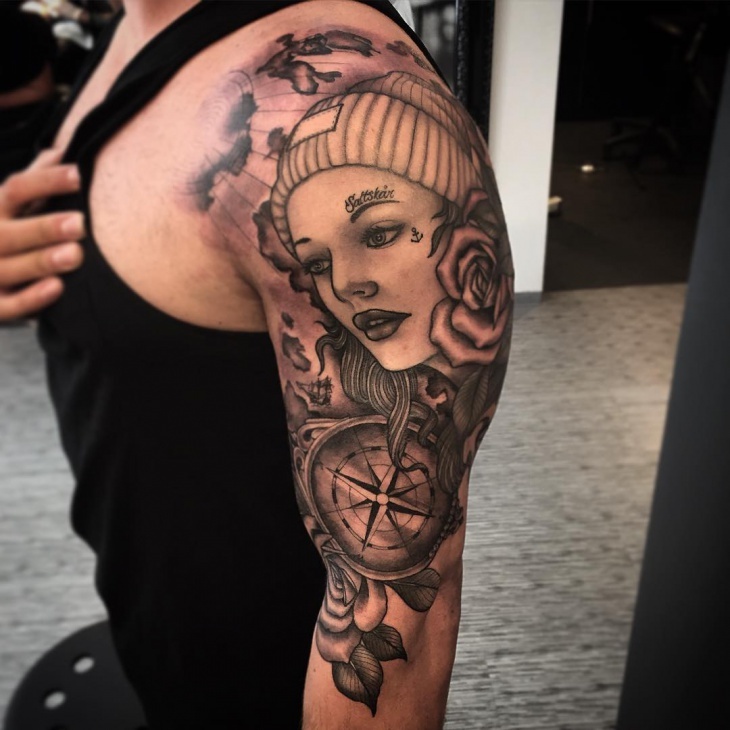 The compass denotes the long journeys, while the roses denote her unconditional love. Love travelling on the sea, yet always want to come back home after an adventure to your waiting family? Well, this one’s definitely for you then! 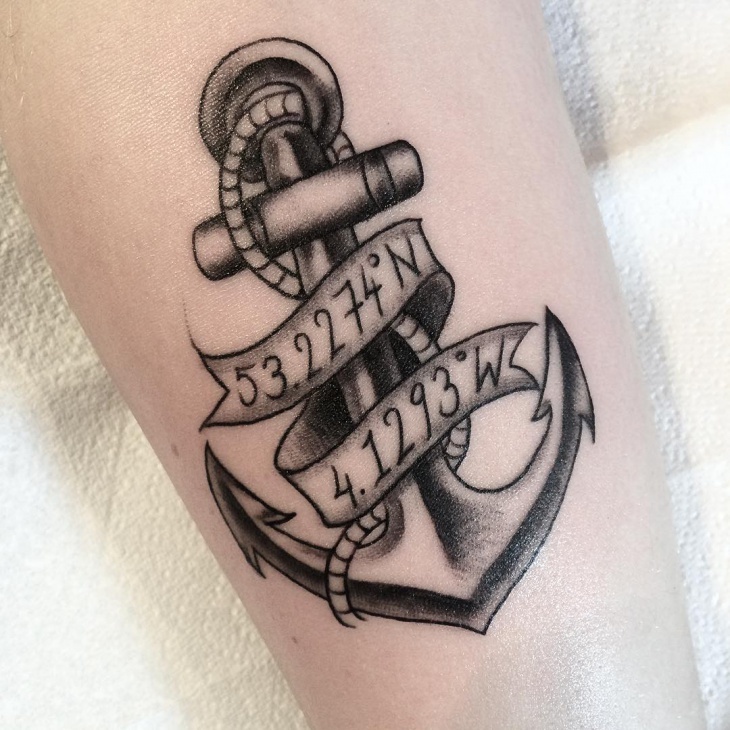 Carve in the longitude and latitude for your own home around the anchor, and let it guide you back when you’re lost. Proud to be a sailor and carry your ship’s fins across the finest of seas? 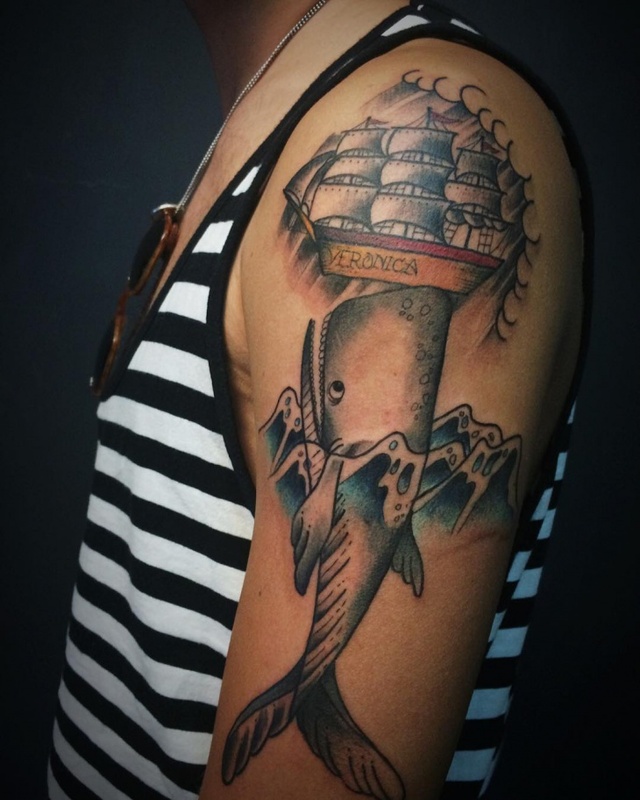 Then get this fantastic tattoo with your own name and ship inked in pure black. 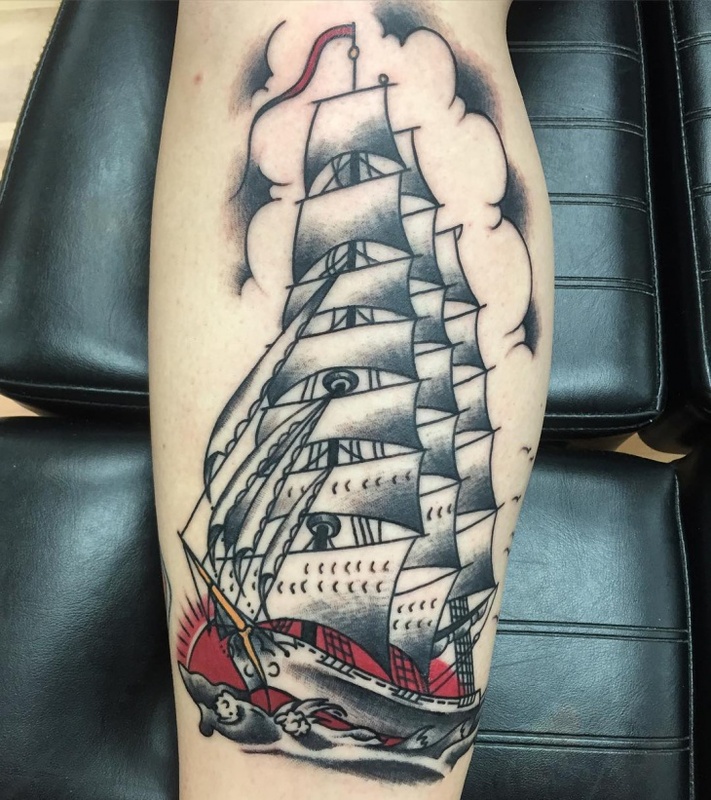 Let the white sails of your ship fly high and strong; and show off your tattoo proudly wherever you go. Oh, this one’s gorgeous! 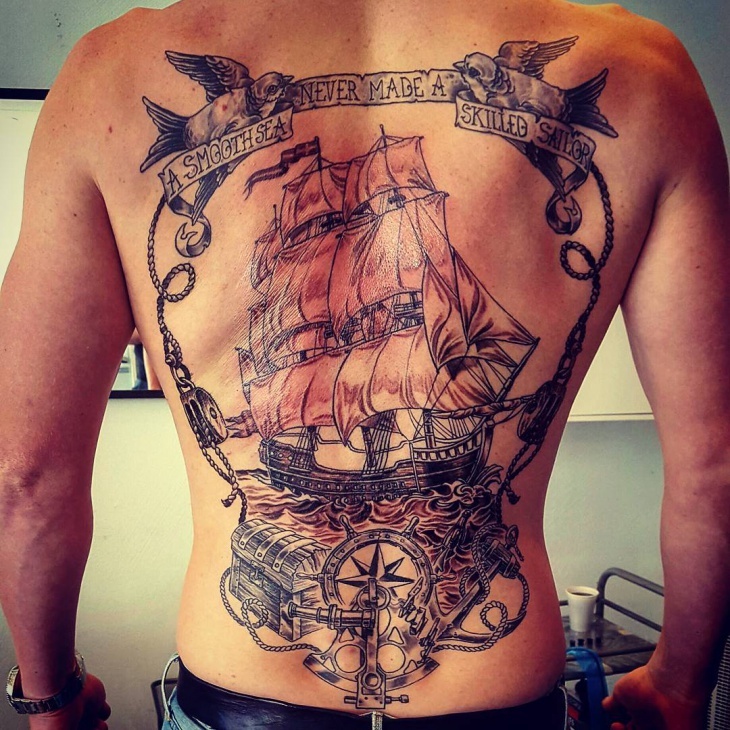 Spread across the entire back, the beauty here is in the wonderful details as well as the complementing nautical pieces brought together in perfect harmony. 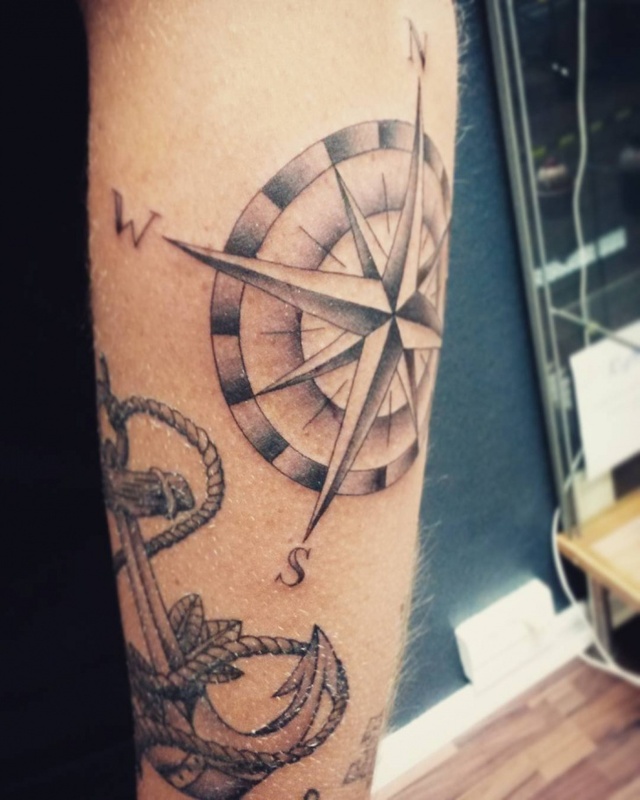 Guided by a central compass, this one is for the fanatics! Swallows stand for their astonishing migrating patterns, always finding their way back home after travelling hundreds of miles. 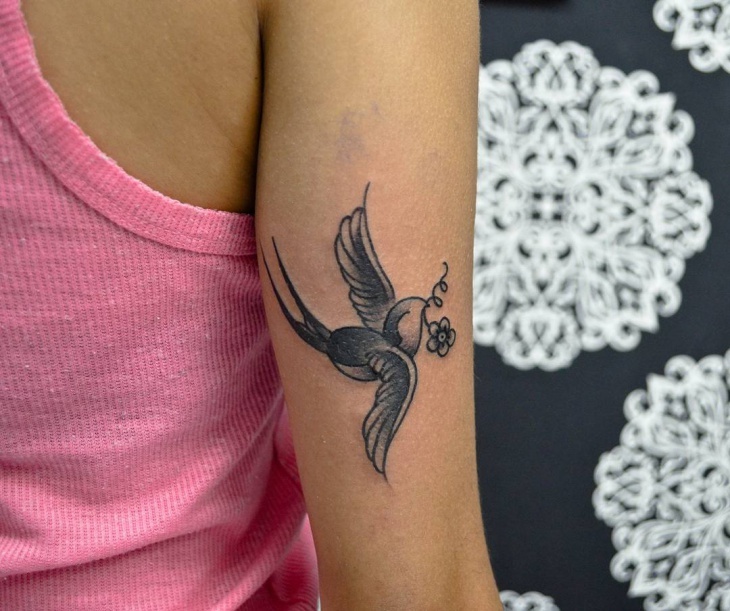 Get this brilliantly designed swallow tattoo done in to represent your desires for travel, as well as longing for home. 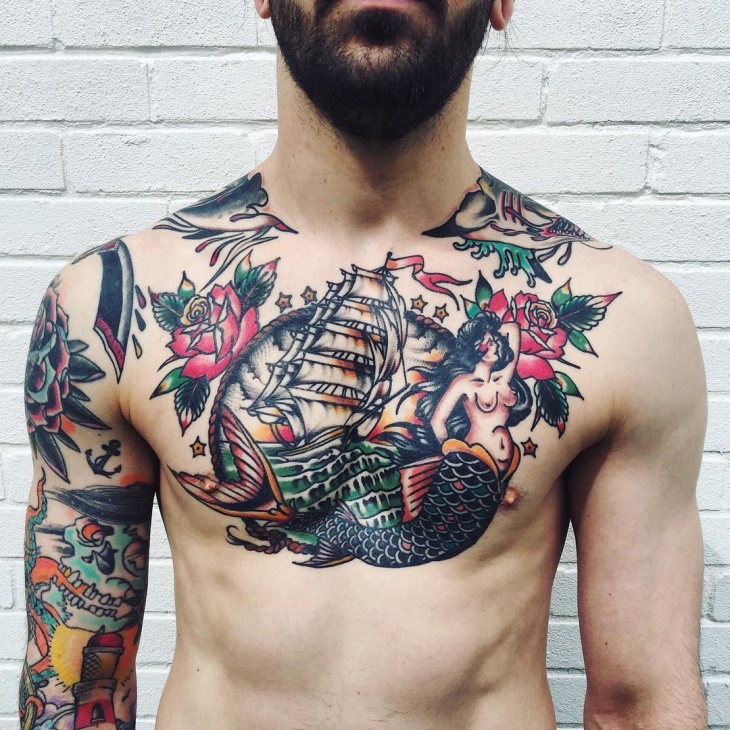 Tattoos and similar arts have often been held in close compassion with sailors across the world for ages. 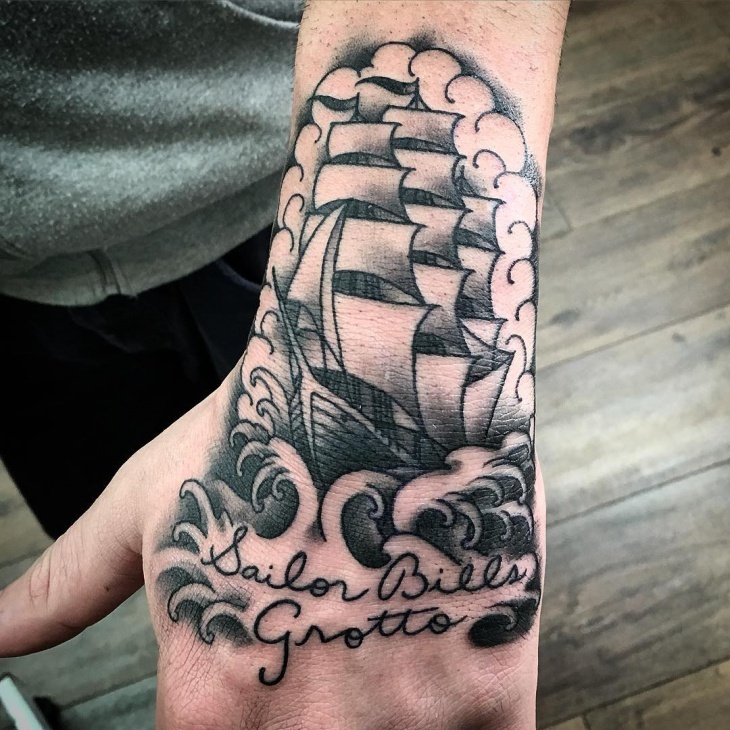 Inking their own beliefs, desires as well as talismans onto their bodies for survival on the seas and unbound adventure has been their way of dealing with their professions. 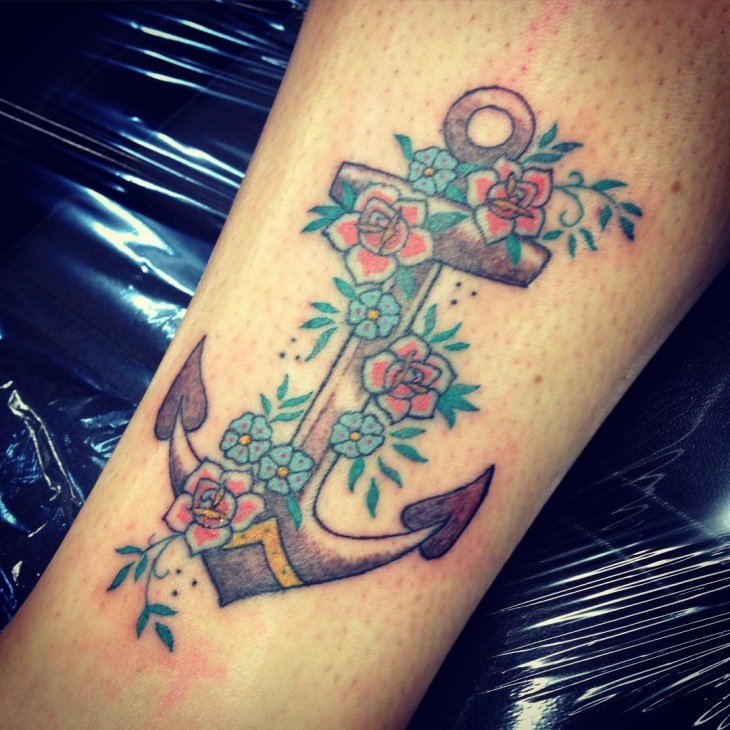 Yet, sailor tattoos are just as popular among common folk as well because of their hidden meanings and gorgeous designs! 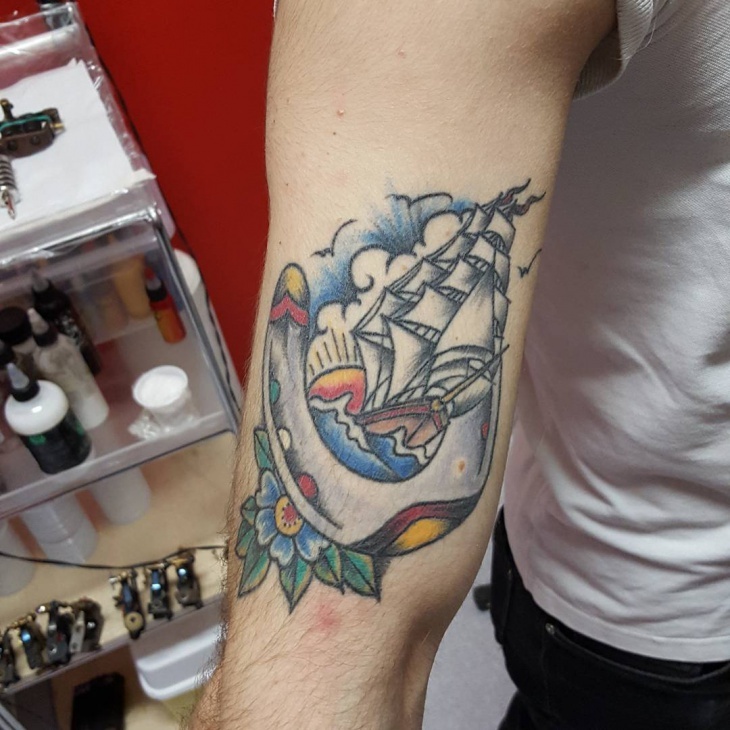 Find your own style of nautical tattoo which you can connect to, and give it a try! We guarantee you won’t get disappointed! Do share your views in the comments below.